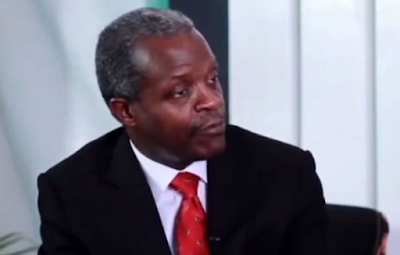 Acting President Yemi Osinbajo has signed seven bills into law. Following Osinbajo’s assent to these bills, they have now become Acts of the National Assembly. The Bills are Oaths (Amendment) Act, 2017; Defence Space Adminis- tration Act, 2017; Veterinary Surgeons (Amend-ment) Act, 2017; National Film and Video Censors Board (Amendment)Act, 2017; Pension Rights of Judges (Amendment) Act, 2017; Nigeria Institute of Soil Science (Establish-ment, etc.) Act, 2017; and Mortgage Institutions (Amendment)Act, 2016. A statement by the Senior Special Assistant to the President on National Assembly Matters (Senate), Senator Ita Enang confirmed it.